December 14, 2014 Desktop Enhancements, Software, UtilitiesGitashare Co., Ltd.
- Stop the kids from constantly fighting over the computer. - Play a new game and watch the walk-through at the same time. You don’t need an additional computer! Just connect 2 monitors, 2 keyboards and mice to your computer, and install SoftXpand. - Supports full video acceleration. - Supports most gaming platforms, such as Steam, Origin, etc. - No lags while two users are playing at the same time. A 20-day free-trial is available for download – just click the link below. To activate your copy of SoftXpand, just purchase a license key on this website, and it will be emailed to you immediately. What SoftXpand users say about it? There are plenty of user-made videos on YouTube, showing how simple it is to use at home. SoftXpand is useful for almost any applications: you can run any design software such as Photoshop/Autocad/SolidWorks, while using the "other" computer for reading emails or socializing with friends. How to apply SoftXpand Duo? 1. Connect another set of Monitor, Keyboard and a mouse to your PC/laptop. 2. Create another user account on Windows. 3. Disable your anti-virus during the next 2 steps. 4. Download and install SoftXpand Duo from the link below. 5. After reboot, follow the instructions on the screen, for assigning keyboard/mouse to each workstation (one-time process). 7. If you need 2 separate audio channels, just add a USB Audio Adapter (available on ebay for $5). 1. At this stage, SoftXpand Duo is only compatible with Windows 7 32/64 bit. A version that runs on Windows-8 will be announced in a few months, upgrades will be offered free of charge to users of SoftXpand. 2. As for now, only keyboards and mouse can be assigned to specific users. Game tablets will be "seen" by both users. 3. If you are heavily into gaming, consider adding a second video-card to your PC, for maintaining high FPS-rates. 4. Please review MiniFrame’s Online Knowledge Base for instructions how to use SoftXpand with Steam and other popular games. How to apply SoftXpand Duo Pro? 1. Connect another sets of Monitors, Keyboards and a miceto your PC/laptop. 4. Download and install SoftXpand Duo Pro from the link below. 6. If you need separate audio channels, just add USB Audio Adapters (available on ebay for $5). 1. At this stage, SoftXpand Duo Pro is only compatible with Windows 7 32/64 bit. A version that runs on Windows-8 will be announced in a few months. GiMeSpace Ultimate Taskbar provides a smarter way to use your taskbar. 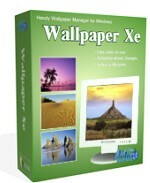 It is a small and very simple program for Windows XP or later versions that will allow you to expand your desktop without any limits. On your taskbar a navigator panel is shown where you can see your whole extended desktop and move your windows around. When you move your mouse to the edge of your screen you will notice that your desktop extends beyond the borders of your normal desktop. But now you can also navigate with the taskbar panel!. It provides a cheap alternative for adding more monitors to your computer. New in this version is that you can resize you windows to a size that is bigger then your physical screen. This can be very handy for computers with a small screen like netbook, etc. It is also possible to limit the virtual desktop to the space that is used by your application windows. In the registered version you can select the autoarrange option to keep your windows next to each other. Also screenshots can be taken to give a real impression of your whole desktop. It has the option to make your Desktop scroll always when you move the mouse. This way you much more enjoy your extra space while at the same time you don’t have to move your mouse long distances any more! Other options are: Sticky scrolling, no more scrolling when you hit shortly the border. Scroll one screen at a time. And scrolling using the keyboard. There is a tab where you can select windows that you don’t want to scroll, like toolbars etc. You can also select a custom background image for your taskbar. 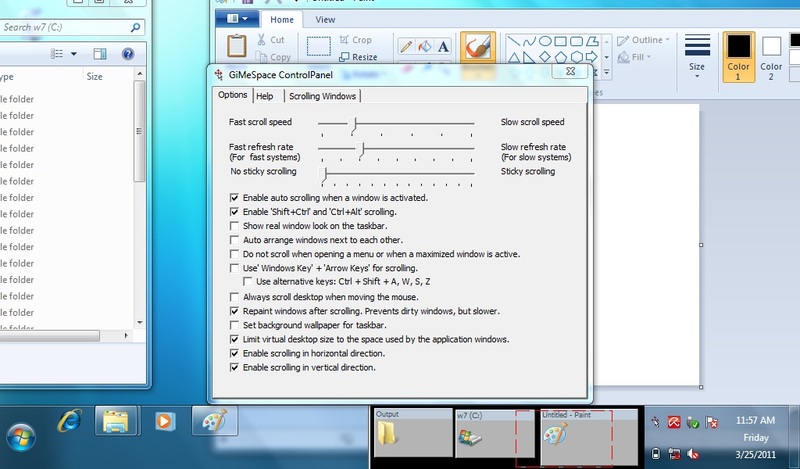 You can limit the virtual desktop to the space used by your application windows. And you can save and restore the positions and sizes of all your windows. This program gives you back the pan and scan scrolling function of windows xp for windows vista and windows 7. Try out the free trial version to experience the freedom of more desktop space! QuuSoft Desktop Manager is a highly flexible tab-like style program that can be used to greatly enhance the user’s experience on managing applications and desktop shortcuts. Since QuuSoft Desktop Manager is designed with the intuitive and straightforward interface, you can easily categorize each item into different groups where the shortcuts of any program, folders and files can be elegantly and effectively managed. Using it means not only having every shortcut in your hand a click away, but also keeping your desktop reasonably organized so that you can enjoy more from your beautiful wallpaper with ease – just think how great it would look like if it weren?t crowded with so many icons. QuuSoft Desktop Manager is an essential companion for computer newbies and extremely usefully for project-based professionals such as print/website designers, office clerks and architects. 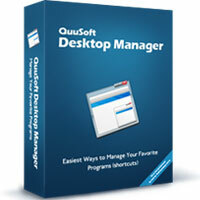 Quusoft Desktop Manager is a tab-like highly flexible program that can greatly improve the user’s experience on managing applications and desktop shortcuts. 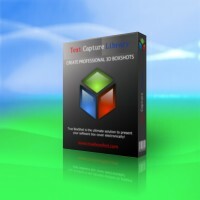 Text Capture Library is a powerful, but easy to use TEXT capture COM component with many features: 1. Capture and process on-screen text of most windows control seen on your computer. 2. Capture all items of folder trees, file lists, status lines, text content of messages and dialog boxes, include visible and invisible items. 3. Scan Mode can capture the text of database table reports, visible text of legacy systems, and more. 4. Support DOS Console output window for Windows 2000/XP system. 5. Support to get html source code from MS Internet Explore or from applications embedded the MS webbrowser control. 6. Fully commented sample applications for various languages, including VB, VBA, VBScript, Visual C++, C#, C++ Builder and Python. Ultimate Windows Clipboard Solution. Now you have the power to save numerous clipboard’s content and easily retrieve it. Clipboard Box will drastically increase the power, capability and functioning of your clipboard activity. Now you have a clean tool that will be very helpful to you while using the most regularly used function i.e. copy paste. With simplicity as its key feature this tool is enhanced with the feature to save up to numerous clips instead of one likely in the regular Windows. The tool has a very easy to comprehend interface so that one is quite aware of what and where the copy paste activity is to be done. The tool has the ability to save any text or images, can save and load almost anything, one can also set own options,automatic hiding of window as soon as it reaches to the edge of the screen are the other features that make this tool more attractive. This tool that proves to be a must have for Doctors, Lawyers, Teachers any many more professional best fits on Windows XP/2003/Vista/7/8. Easy to use windows clipboard software. Support Unicode, All Language can be copied into software. Schedule Start Stop is a simple application allows you to schedule programs to run and close at certain times. unlike other program launcher or scheduler.it not only allow you to start program in certain time, but also help you to stop program in a certain time, it provide two different way to select program,from file or from running process. very easy to use, setup and forgot. Award winning software tool designed to offer you total and complete control over your desktop wallpapers, featuring support for over 30 image and movie formats, active desktop, timer and many more. 60 Days Unconditional Money Back Guarantee.